Expect to see some space-age duds at the 2018 Winter Olympics in PyeongChang, South Korea. Burlington-based Burton Snowboards will outfit the U.S. Snowboarding Team athletes competing in the half-pipe, slopestyle and a new event this year: big-air snowboarding. The games kick off in February. This will be the fourth Winter Olympics in which U.S. athletes sport Burton gear. The "retro-futuristic" outerwear appears ready for a space walk. The jackets and pants have a "liquid metal look" created "by infusing an extremely lightweight aluminum-coated fabric typically used for audio equipment with highly technical properties ideal for snowboarding in any weather condition," the company said in a press release unveiling the outfits. "Even the inside of the jacket is highly detailed, with artwork sewn to the lining that includes Korean translations of helpful lighthearted phrases like 'Do you speak English?' and 'Wish me luck!'" Patches on the uniforms appear NASA-approved, with Burton and USA written in a "space-age font," along with other details that mimic the 1960s-era space program. 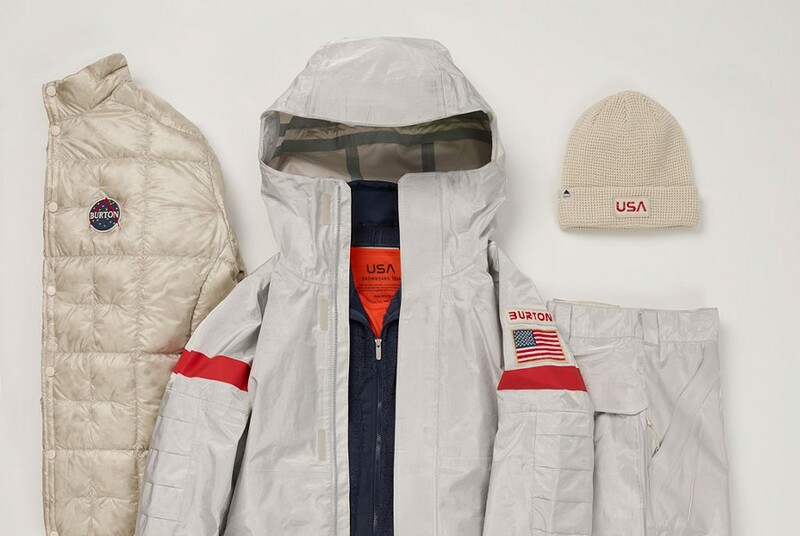 "I have always loved the astronauts' suits, because not only do they have such a cool and amazing aesthetic, they also were designed to function under the most extreme conditions, so this gave us an incredible platform to push the innovation and technology of the garments as well," said Greg Dacyshyn, the head designer of Burton's Olympic uniform program. "My hope is that these pieces help the athletes go where no rider has gone before." A series of qualifying events, beginning in December at Copper Mountain in Colorado, will decide the U.S. Snowboarding Team roster ahead of the games. Snowboarding superstar Shaun White will likely be among the athletes headed to South Korea in the far-out new Burton gear.